Close-up Of Therapist Hand Writing Notes During A Counseling Session With A Single Woman Sitting On A Couch In The Blurred Background. Lizenzfreie Fotos, Bilder Und Stock Fotografie. Image 102720115. 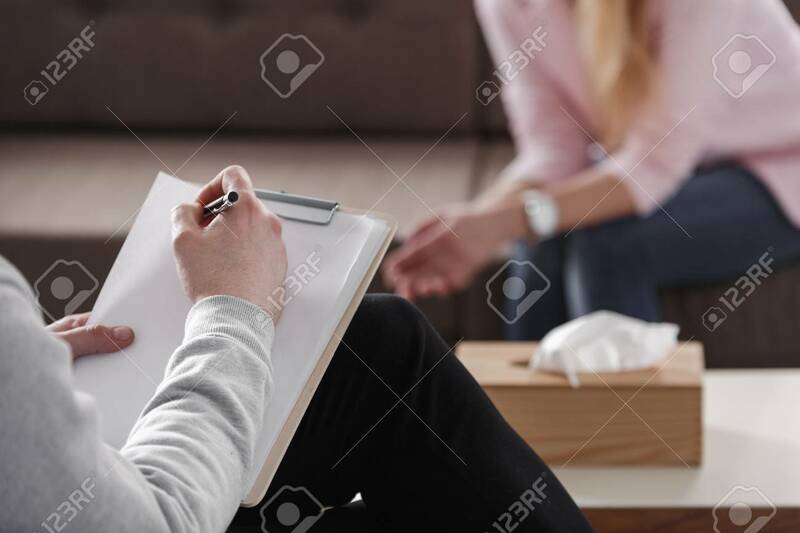 Standard-Bild - Close-up of therapist hand writing notes during a counseling session with a single woman sitting on a couch in the blurred background. Close-up of therapist hand writing notes during a counseling session with a single woman sitting on a couch in the blurred background.